Daniel has been crowned the winner of The Voice Kids UK. Presenter Emma Willis, singer Pixie Lott, rapper Will.i.am and McFly’s Danny Jones were all in attendance for the launch of new ITV talent show The Voice Kids at London’s Madame Tussauds. McFly’s Danny Jones said he was like Only Fools And Horses’ characters Del Boy and Rodney in the birthing suite before the sudden arrival of his first child. 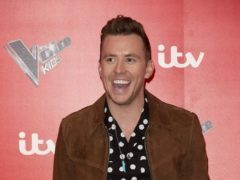 McFly singer Danny Jones has become a father after his wife Georgia gave birth to their first child.